When the times get tough…smart businesses not only survive, but thrive! Do you have it? That ability to adjust, adapt, transform and grow your business in difficult times? The times are changing and businesses are already noticing differences in trends, changing customer buying habits and more importantly, revenue streams. I don’t want to be a voice of doom and gloom; in fact there are many positive opportunities to take advantage of when things get a little unsettled. I am not necessarily talking about a huge economic downturn, but any period of uncertainty or change. 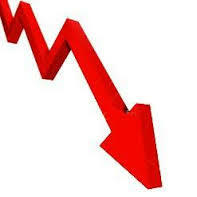 Statistics indicate that in the U.S. (our economic upturns and downturns in Canada mirror those of the United States.) there has been nine recessionary periods since 1948. These periods of belt tightening tend to last about 11 to 12 months on average. If you do the math, that leaves periods of economic growth and stability lasting approximately 4 years in between each downturn. I would hazard to say that a great number of fellow business owners have experienced one or more of these downturns. The question is, during these times are you building for the future, merely trying to survive or drastically changing the face of your business? I see first hand on a daily basis, the knee jerk reaction of cost cutting by companies -training, sales and marketing activities, not necessarily in that order. Our business plans indicate our business will grow, sometimes quickly, other times slowly, but grow none-the- less. It is our sales efforts, our training programs and our marketing plans that provide us with the skills, knowledge and exposure to grow. Why would these be the first areas to look at in terms of cuts? If your competitors continue to sell, even harder, arm their employees with new skill sets to be more productive and creative and continue on a carefully charted course of branding, identity and market presence who will be in a better position 10 or 11 months from now to take advantage of the upturn in the economy? Look at new products or services you can add to your current offering. Increase your knowledge and skills base to make you more strategic. Look for new opportunities, online, abroad and within your municipality. Finally, get out and network, increase your sales and marketing effort and take advantage of opportunities that will present themselves when other companies retrench. You can survive or you can thrive, it is totally up to you.